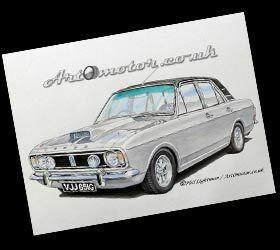 I am an established Kent-based motoring, wildlife and marine artist, specialising in portraits of classic cars and other vehicles. I am particularly fond of the curves and chrome of the classic sports cars built in the 1950s and 60s. I have been drawing and painting for as long as I can remember. My upbringing at a busy petrol station en-route to Dover docks 'fuelled' my interest in cars, buses and lorries, which became frequent subjects for my early art. It was in the late 90s that I resolved to do more art, having done relatively little since leaving school. I enrolled in evening classes and subsequently joined several local art societies, achieving various sales and commissions along the way. I also did some drawings and paintings of cars and buses as gifts for friends, which made me realise that it is portraying vehicles that I most enjoy. I have therefore chosen to specialise on motoring subjects, particularly classic cars, buses & coaches and other heritage vehicles. 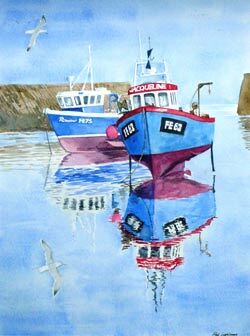 I welcome commissions, and create accurate, detailed and affordable portraits of vehicles, as well as wildlife and marine subjects. The number of paintings I can undertake in any year is limited by work and family commitments, which means my art remains fairly exclusive. I tend to have a waiting list for new works, although I can normally meet specific deadlines. All images are hand drawn and painted. I mostly use gouache (an opaque water colour often used by designers and illustrators) on Hot-pressed watercolour paper. I also use other media to achieve the detailed effects I want. I was asked to take some greetings cards to an outside event I was attending some years ago, which proved successful, and as a result, I've had quite a few images made into cards. 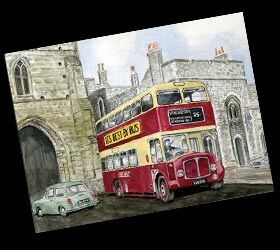 I now have an ever expanding range of greetings cards of motoring icons and historic buses. I have a great enthusiasm for classic cars and I attend as many car shows and bus rallies as I can, mainly in the south-east. I take numerous photos for reference and for their own intrinsic appeal. Some of these are now on my Facebook page. I am pleased to be actively involved in the highly popular classic car movement through my art and photography. 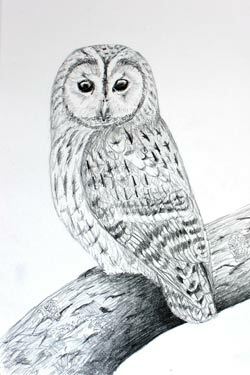 My other lifelong passion is wildlife, especially birds, and I have contributed a number of drawings and paintings to the RSPB and Kent Ornithological Society. 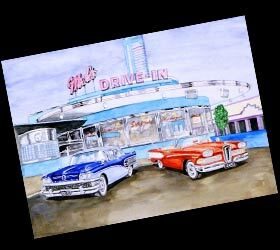 A painting of a car is a fantastic present for a car fan, especially if it's their own car! I welcome commissions, and create precise, meticulous and reasonably priced portraits of motoring subjects. 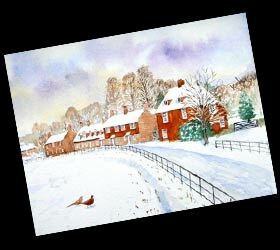 Paintings are generally 16" X 12" (A3) mounted to fit any standard 20" X 16" frame. I ensure that I replicate all those individual touches that make the car special and unique, such as badges, wheels & tyres, accessories, etc. A popular additional touch is to also have the image made into a greetings card, which can be opened beforehand. The pleasure and surprise for someone to open a card to find it is their very own car is only surpassed by finding they have also been given a painting of it! If you are interested in a painting, please contact me so we can discuss how I can turn your idea into a highly personal and unique gift. I work from photographs for accuracy, and appreciate as many photos as possible to enable me to create the best possible likeness. The cost of a commission depends on the size and complexity of the image. If a background is wanted, it does cost more, due to the additional work involved. 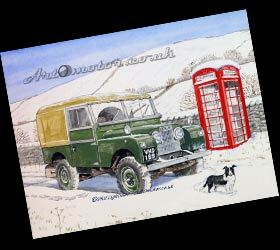 As well as classic cars, I will portray most vehicles, as well as wildlife, landscape and marine art.